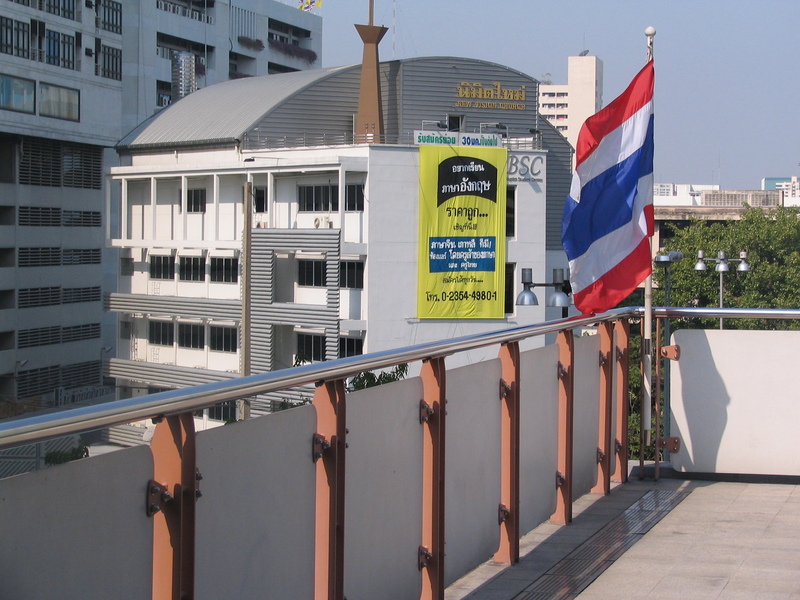 I realized the other day that I have never shared photos of where I live in Bangkok. I have showed you photos of my living ‘quarters’ but never the city view. One thing that I’ve got to say about Bangkok (and Singapore!) is that the public transportation is pretty great. You’ve got every form of transportation here from motorcycles, taxis, tuk tuk’s, buses, subway (MRT), boat, airplanes (Bangkok being one of the best places to catch international flights just about anywhere I think!) 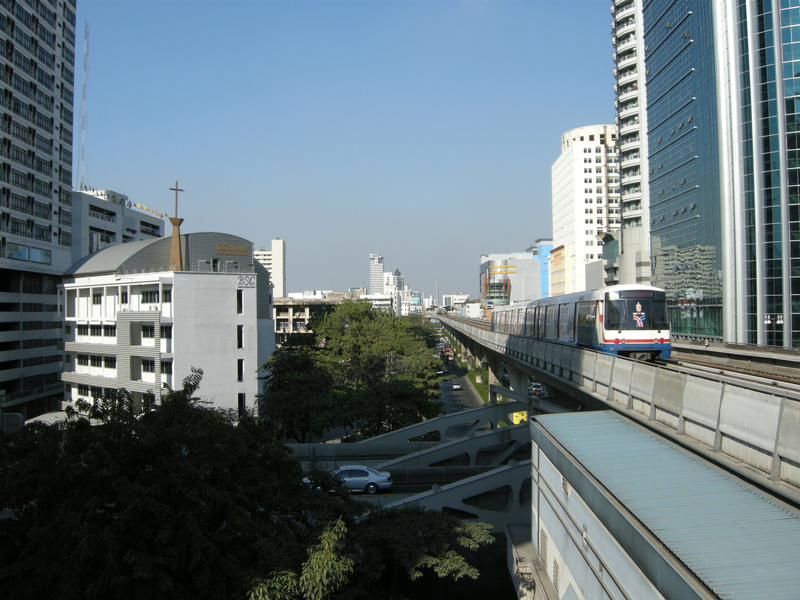 and of course as you can see from the photos below, Bangkok also has a great sky train (the BTS: Bangkok Transit System). 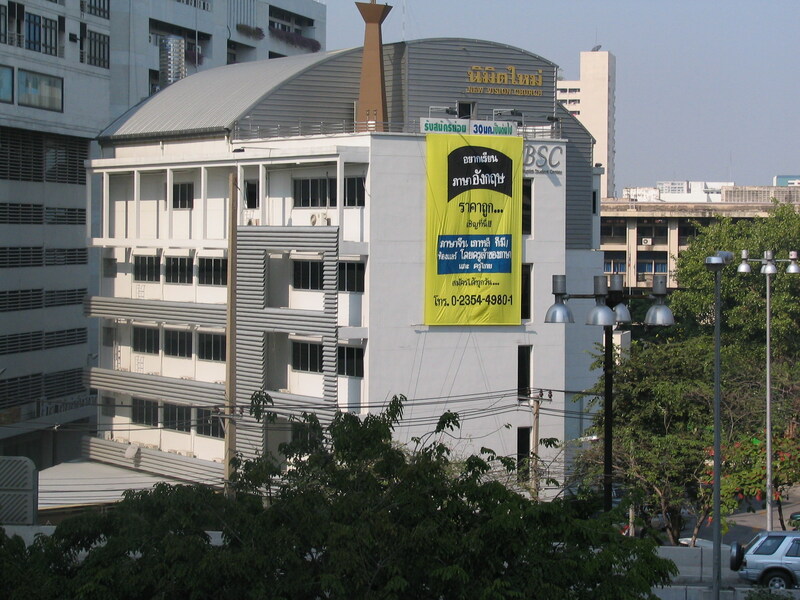 I both live and work at the school I’m teaching at in Bangkok (the Baptist Student Center) and it is located conveniently right next to the BTS. Now this is a very big deal because properties located close to the BTS are in very high demand (because not only is it a convenient location, but it’s common for tourists to stumble upon said business). But the BTS has been located in this spot for the past sixty years and is actually on a plot of land given to the Baptist church by the royal family. Hi! 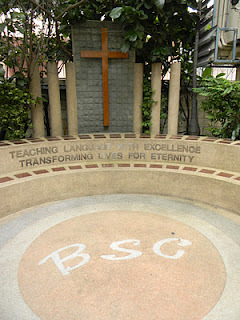 My name is Rose Lane, and I moved to Bangkok, Thailand in June 2011 to teach English, participate in and encourage conversation centered around Christianity & faith, and travel the world (mostly around Thailand though). Follow my adventures here! Sign me up for Rose's Adventures! Best Friend Joe in China!